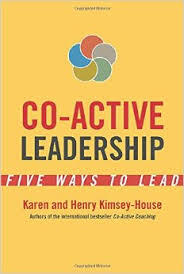 Co-Founders of CTI (Coaches Training Institute) Karen and Henry Kinsey-House have written a slim volume on Co-Active Leadership that introduces one aspect of a much deeper subject. Co-active is all about being active together. 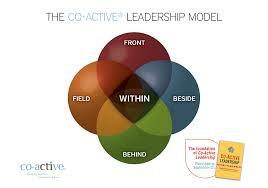 Co-active Leadership is also the name of the 10 month program that I participated in over 5 years ago. My main concern with this book is that readers will think that this shallow treatment is as deep as it goes. Most people associate leadership with the classic front of the room leader. The authors help to expand the definition of leadership by explaining the other roles that leaders can play and by asserting that everyone is a leader. The best leaders are flexible. The book is a quick read at just over 100 pages–I read it on the flight home from Miami.